Located in the heart of Central Florida, The Villas of Grand Cypress is an unparallel retreat that offers unsurpassed relaxation and recreation for golfers and non-golfers alike. 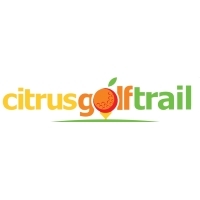 Enjoy 45 holes of award-winning Jack Nicklaus Signature-designed golf, top-notch instruction at Grand Cypress Academy of Golf, exquisite dining and endless recreation activities. Whether you're here for business or pleasure, your stay will be relaxing, refreshing, and undoubtedly unforgettable. Minutes from Orlando's major theme parks and attractions, The Villas of Grand Cypress is the perfect Orlando luxury resort. Our resort is designed for any type of traveler. With a highly personalized approach, we treat all of our guests with exceptional service and commitment. Take your next vacation down a refreshing path into a sanctuary of tranqulity and relaxation. Let us make your next vacation grand. Please call 407-239-4700 for current rates. Call 407-239-4700 for rates and tee times. Contact Grand Cypress Resort at 407-239-4700 for more information and details on holding a golf outing at the course. Contact Grand Cypress Resort at 407-239-4700. Contact Grand Cypress Resort at 407-239-4700 for onsite or nearby dining options. This profile was last updated on 05/12/2014 and has been viewed 3,731 times.